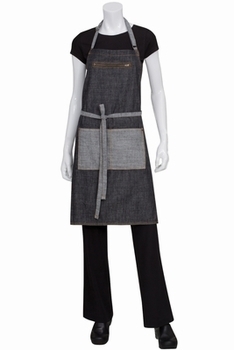 The Manhattan Urban Denim Apron Collection is part of the Urban Apron collection and is crafted in 6.5 oz cotton denim. All the aprons in the Manhattan collection feature reverse fabric ties and pocket. 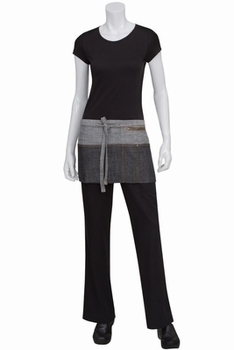 They also feature a zippered pocket for those items that you just don�t want to lose. 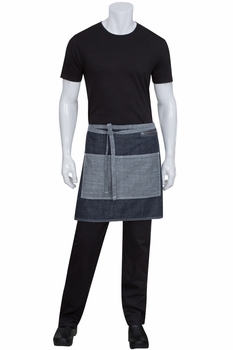 The pocket ends have been riveted for extra strength and durability. 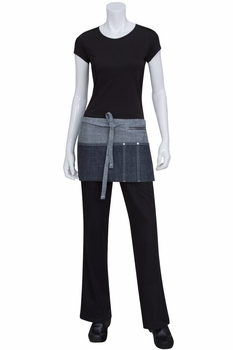 The bib aprons have an adjustable metal neck buckle. 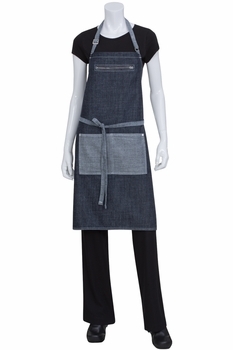 The aprons are available in both black and indigo blue denim.